Date: Apr 16 2019, 1 p.m. - 3 p.m. This event recognizes the efforts of those who have given their time and talent to make the West Point community a great place to live and work. 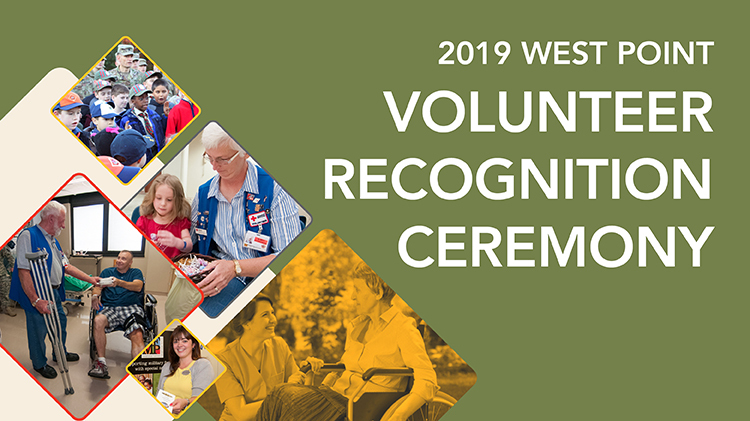 Nominees will receive recognition and the President’s Volunteer Service Award will be given based on number of hours. Doors open at 12:30pm. A light lunch will be provided. Dress: Mil: Uniform of the Day. R.S.V.P. by 3 April 2019 to Kara Pletcher at (845) 938-3655/4621.